Wondering what to do with a classroom full of students on your first day at a new school where you have not worked as a substitute teacher in the past? As a professional substitute teacher, you must be prepared for situations in which there is no lesson plan for you to follow to ensure cohesiveness of the learning experience for the students in your classroom that day. Remember when you are called to work, to fill in for Mrs. Apple Pie, you are teaching her class, however, it is your classroom for that single day. Thus being prepared with a fun activity, which also educates students and engages their active minds, is essential to your personal success. The opportunity to be selected to substitute again at any school district certainly can be increased by having a positive experience with students that will leave a lasting impression on them and fellow teachers, as well as the administration. One ideal suggestion to accomplish this goal is to utilize substitute teacher printables. You can create a variety of different worksheets online prior to receiving your assignment and save them on your laptop or a flash drive to print as needed. There are some helpful websites, which allow you to create and save printables for free. Below is a concise resource guide with links and detailed description of what is available. Having this information at your fingertips will decrease the amount of time you have to spend searching for resources online and increase the amount of time you can spend actually creating educational, fun, and interesting worksheets, puzzles and other substitute teacher printables. Select from an assortment of math games, phonics worksheets and grammar quizzes. Good collection of auto-generated printables that are organized by grade and topic. Free - Does require log-in. Choose from 17,000 free worksheets. One of the best features is you can create your own word search, word unscramble, word walls and other printables using your keywords or the subject you will be teaching for the day. 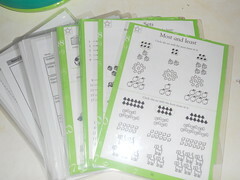 You can also opt to utilize pre-made printables in various categories from age-specific to targeted subjects. Offers a great selection of printables primarily geared towards English, writing, and grammar, as well as English as a second language. A unique feature of this website is that teachers provide the worksheets to share with colleagues like you. It is a free service. If you like these resources and wish to find more ideas to reduce your stress level and increase your productivity as a busy substitute teacher, please contact us. We provide a variety of resources to help you succeed in the world of substitute teaching.